Happy Friday!! It is crazy to me that the first week of June is already over... I don't know about you, but 2014 has been flying by! Linking up with Christina, April, Natasha, and Darci for Five on Friday! I don't eat donuts, but if I did, I would be totally into this! I do, however, absolutely adore the below print. And find out here where to get your free donut! So my husband and I are SUPER late on the boat, but a few nights ago we just started watching the TV show 24. We started with season 1 so we have quite a bit to work through, but so far, so good. Is it worth watching all of the seasons? What are some other good TV shows we should be watching?! My hubby and I are spending the weekend in Phoenix and Scottsdale. I've never been before, so we are planning a casual weekend to explore. Does anyone have any suggestions of things we should do while we are there? We won't have a ton of time, but I'm looking forward to a mini getaway! FOUR | Three Year Anniversary! Our wedding anniversary is in about a week and a half, and it is crazy to think about this time three years ago... scrambling to get all the final details straight for our big day! I'm not going to lie, I have been feeling super nostalgic lately and have enjoyed looking through our wedding photos! 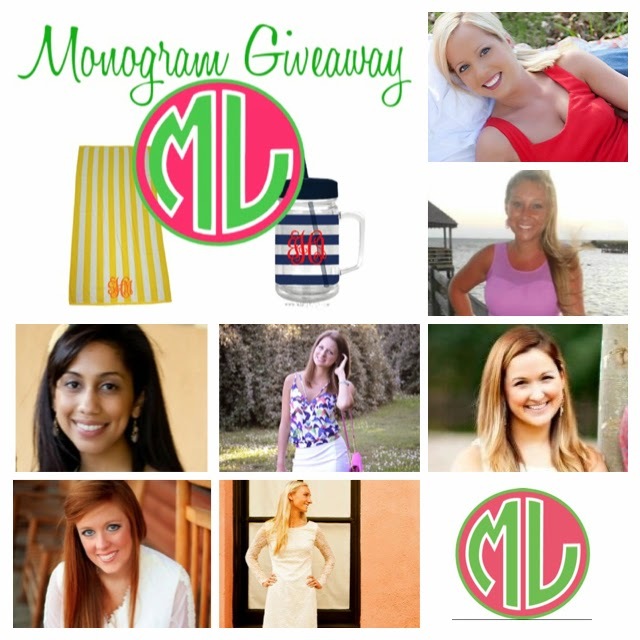 Don't forget to enter the summer monogram giveaway to win a monogrammed beach towel, monogrammed mason jar tumbler, and a $25 Amazon gift card! Here's to a perfect monogrammed weekend! oooooh happy almost wedding anniversary! Those pictures are gorgeous, my only regret about having such a low key wedding. I'm thinking we need a family shoot to make up for it! I like a free a donut! Maybe I can talk my husband into picking one up after work. My husband and I went to Scottsdale in April, definitely eat at the Tortilla Factory at night, they have the most amazing patio with all these lights strung everywhere and the food was great! Beautiful wedding pictures, hope you have a great weekend! I hope y'all have a great weekend getaway! That donut print is adorable and your wedding pictures are stunning! Thanks for the heads up for doughnuts! We are going to the zoo today and there is a Krispy Kreme right down the road. I will have to make a stop. And Happy Anniversary!!! Let me know your thoughts on 24 - we're looking for a new show...we're all caught up with Homeland (AMAZING), House of Cards and Damages!! Those were all really great!! Hope you have a wonderful weekend! It's national donut day?!! I guess I need to get me some donuts! Happy almost Anniversary!! Have a great time in Phoenix and happy anniversary!! Stopping by from the linkup! Happy anniversary! Such pretty wedding pics! We've had so much fun with wedding nostalgia on the blog this week...maybe you can give us a little peek back into your wedding to celebrate! I'm loving your larger photos! :) Also, love your wedding pics! I have recently got sucked into Chicago Fire and Chicago PD. Obviously the season are over, but I've been ODing on them online to catch up for this fall! Happy (early) anniversary! Enjoy your weekend exploring. You don't eat donuts? You're crazy, girl! :) Have a fabulous weekend in Arizona...fun early anniversary celebration! Btw, your wedding pics are beautiful! Such stunning wedding photos! 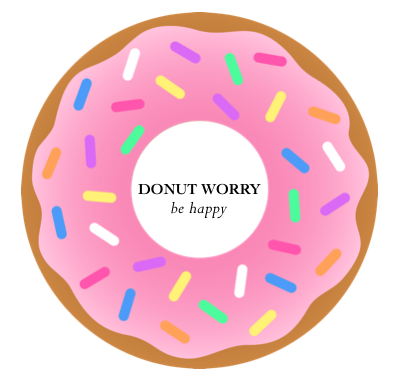 I totally wish I didn't eat donuts, I'm a little sad I probably won't have one today since it's national donut day ;) I hope you guys have a great weekend trip! That donut print is so cute. I really want a donut now. Have a great weekend! Have so much fun this weekend!!! And happy early anniversary! Happy anniversary in a few! Beautiful wedding and bride. 24 was so awesome! We watched it a few years late too, but loved it. You have such beautiful wedding photographs! I want to say a HUGE thank you for telling us about national DONUT day! I love donuts beyond words. Totally going to get my fill today! Also, Phoenix is lovely (and hot!). Stay out of the heat, and always have water in hand, my favorite thing to do there, (since I LOVE old houses) is do a house tour of the Wrigley Mansion! So beautiful and fun, and out of the heat! Have a great weekend girly! You and your hubs seem to have lots of fun adventures together. Go go go and do do do. :) Have a great weekend away! Awesome recap of your wedding, I love the pics!! Your wedding pictures are beautiful girl! I definitely am getting a donut today! Gorgeous wedding photos!! And shh...I already got a doughnut today - again I always blame baby! Beautiful wedding photos!! 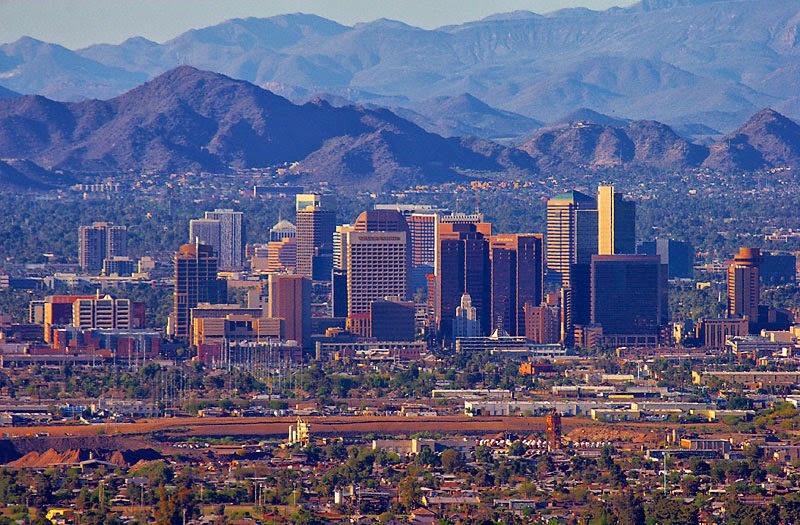 I've been to Phoenix before, but didn't do a whole lot there. If you have the chance to drive up to Sedona for the day/afternoon, you should. It's really pretty there! Pleasee tell me you watch New Girl! 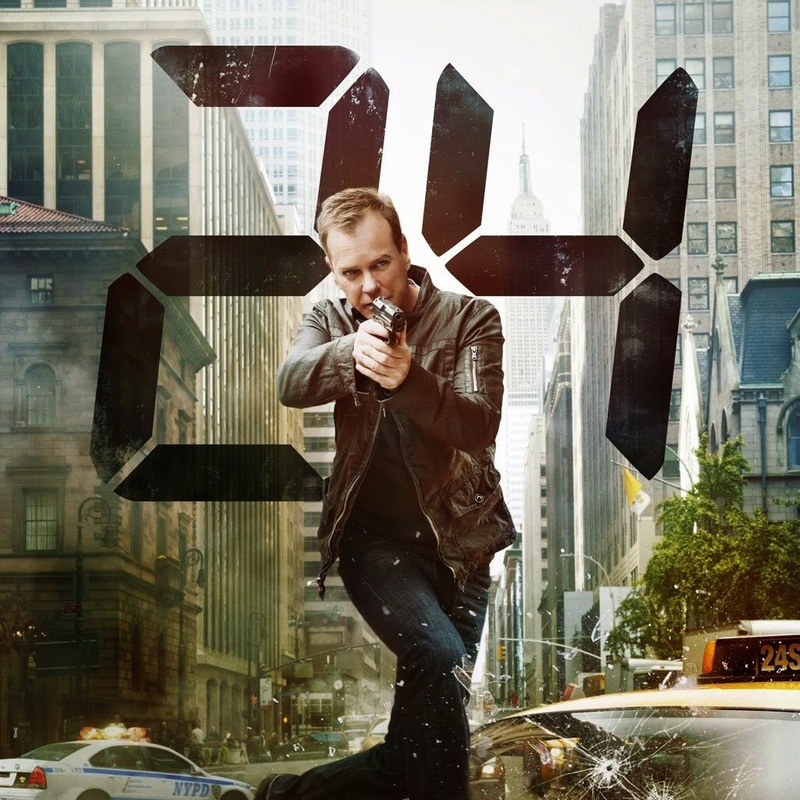 24 is my favorite show of all time, so yes I totally think you should watch all of the seasons :) I wish I would have re-watched them before this one started. Because of the industry I'm in (I'm a marketing manager for Dairy Farmers of America) I am always up to date on the latest food holidays, I get a daily email about it, haha! So I was, too, excited about national Donut day :) And as far as shows go, our recent obsession has been Orphan Black. It is on BBC America and is SO good!! It's only in to season 2 so totally worth catching up on. Have fun in AZ! I lived in Chandler for a year... One of my favorite spots in Scottsdale was the R Bar (or so I think it was called). Enjoy! Happy Anniversary (soon)! And have a great weekend away with your hubby! I don't eat donuts either so I missed out. Phoenix is really nice but I haven't been in awhile. Happy early Anniversary. Those wedding pictures are gorgeous and have fun in Arizona and happy early anniversary! I love 24 so much that my cat is named Bauer :) The first 4 - 5 seasons are pretty good, and then it gets kind of silly but you like the characters so much that you forgive it. This season is really predictable when you've seen the others, but still not bad. If you haven't watching Breaking Bad then get on that bandwagon - probably my favorite show ever! Ah man! I missed this post before you left for the weekend! I hope you had fun in Phoenix/Scottsdale! Kevin and I go to Phoenix every year to see family and we enjoyed touring the Diamondbacks stadium last time we went :) Downtown was actually pretty cool! How was your trip?? AND we just finished Season 1 of 24! We're so far behind too :-p We have yet to start Season 2 though. My husband and I just started watching Scandal and we are completely addicted (and also way behind on the bandwagon)! It's so good. And our anniversary is in a week and a half as well! What day did you get married? Our date was June 18th and this year will be four years already...time flies! Hope you had a great weekend and happy almost anniversary to you and your hubs!